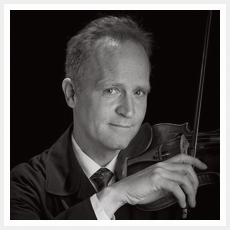 Violinist Michael Ferril began violin studies through the Glendale Unified School Strings Program and quickly progressed to private lessons with Purcell Mayor, a member of the Los Angeles Philharmonic and Hollywood Bowl Orchestra. Mr. Ferril attended Cal State Northridge under scholarship and faculty, Endre Granat and Robert Lipsett. Mr. Ferril also attended The Meadowmount School of Music, Ivan Galamian Director, and studied with Sally Thomas and chamber music with Josef Gingold. After graduating from The Juilliard School of Music in New York, Mr. Ferril returned to the Los Angeles area and continued recording for various musical artist such as Frank Sinatra, Michael Jackson, Neil Diamond, Natalie Cole, Glenn Campbell, The Eagles, The Who, Earth Wind and Fire and Elvis Costello and The Roots. Mr. Ferril has recorded in over 750 Motion Pictures as well as hundreds of commercials. The Composers that Mr. Ferril has worked under include, Jerry Goldsmith, John Williams, George Delarue, David Newman, Randy Newman, Miklos Rosza, Maurice Jarre and more. Mr. Ferril's professional live performances include The Hollywood Bowl Orchestra under John Mauceri's baton, The American Ballet, The Kirov Ballet, The Harlem Ballet, The Joffrey Ballet, The Bolshoi Ballet and The Civic Light Orchestra at the Los Angeles Music Center. From 1987-2005 Mr. Ferril regularly recorded at Paramount Studios, in the Star Trek television series including, The Next Generation, Deep Space Nine, Voyager, and Enterprise. Also recording for the TV programs, Jag and MacGyver. 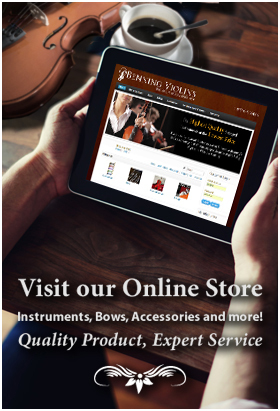 For over 35 years, Mr. Ferril has maintained a private violin studio. Many young well-known violinists have passed through his studio.